An Attractive Back Garden Doesn't Have to Be High Maintenance! 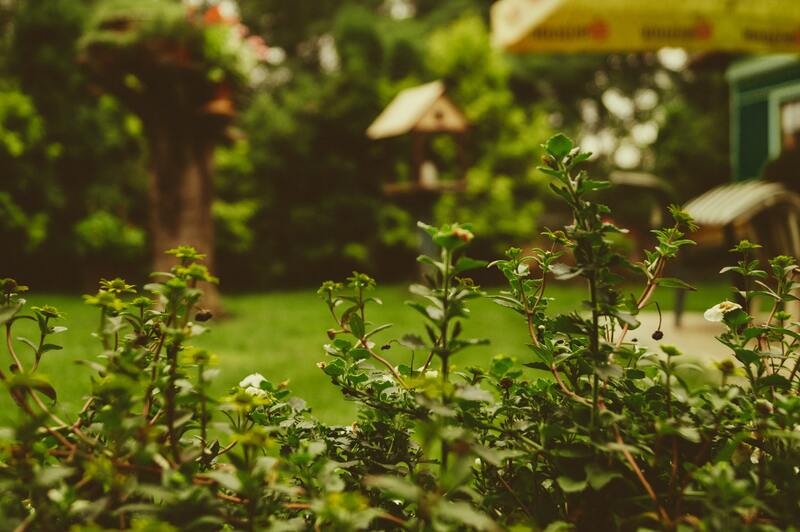 While the majority of us want a beautiful backyard, very few of us have the time or are willing to put in the effort to maintain a beautiful back garden. So, what can you do if you want a functional and aesthetically pleasing outdoor space to relax in, but don’t really want to commit to getting particularly green fingered? Well, no garden is going to be zero maintenance. But there are various steps that you can implement to help make the space as low maintenance as possible. Here are a few for you to take into consideration! One of the areas of a standard garden that requires the most upkeep is grass. It has to be mown on a regular basis to keep it trim and in shape. You have to use a strimmer around the perimeters of your garden to prevent the edges of your lawn spiralling into mayhem. You have to weed the lawn, plant extra seeds to repair patches that become damaged, rake leaves to prevent sunlight being blocked from the blades, and you have to ensure that it is evenly watered throughout the warmer months of the year. But this doesn’t have to be the case. You can have a lawn composed of Durabel artificial grass. This is stable, hardwearing, and has four different colour strands to give it as natural a look as possible. Once it has been laid down, you hardly have to do anything in order to maintain it! Hedges are great for gardens. They add a little greenery at the same time as establishing attractive borders between different spaces. But if you’re not likely to spend extended periods of time pruning bushes placed in your garden, you need to avoid fast growing hedges and opt for slow growing hedges instead. Popular options include Yew (otherwise referred to as Taxus Baccata) or Holly (also known as Ilex Aquifolium). When you have flowerbeds or borders, you generally have to dig a lot to pull out weeds and ensure that soil is loose enough for roots to push through. Instead, if you have good quality soil in your outdoor space, you can always opt for a “no-dig” approach and use weed suppressing mulches instead. This is a gardening method that minimises the amount of soil cultivation that you have to engage with yourself. Instead, you can make use of organic mulches (including bark, garden compost, municipal compost, or even rotted manure) to nurture your plants. Just avoid walking over areas where you have used weed suppressing mulches, as you want to avoid compacting the ground. Outdoor spaces do require a little care. But if you want to ensure that your garden only requires a little care rather than a lot, you’re going to have to take active measures to make the space as low maintenance as possible. Hopefully, the above advice will help you to make a profound success of this!